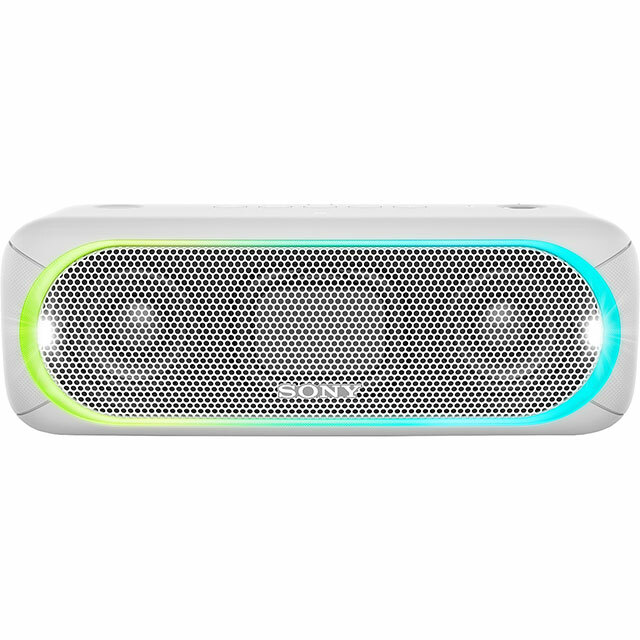 This Sony blue wireless speaker is great for listening to music with friends. It has Bluetooth and NFC wireless connectivity, so you can easily change the volume or track without getting up. With the expandable system you can synchronise up to 10 speakers over Bluetooth, perfect for filling the whole house with sound. 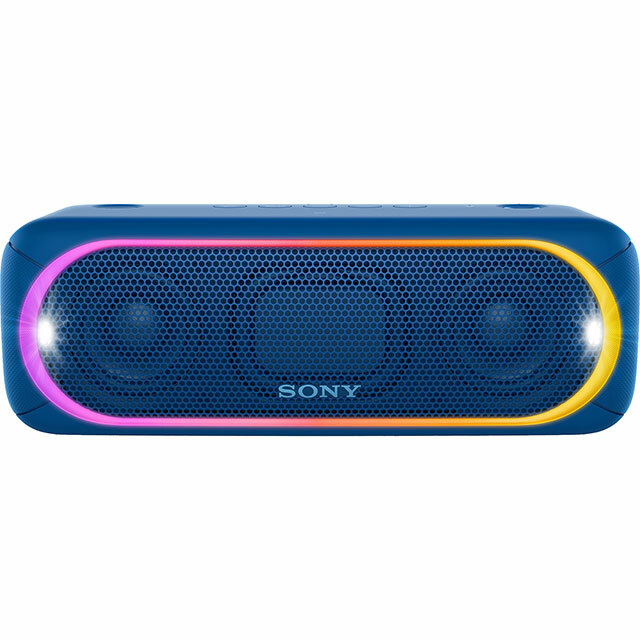 Plus, you’ll be the favourite party host with the Mega Bass boost and lightshow features. The strobe lights co-ordinate to the music while the extra bass creates big sound, for an atmosphere that will make everyone want to get up and dance. 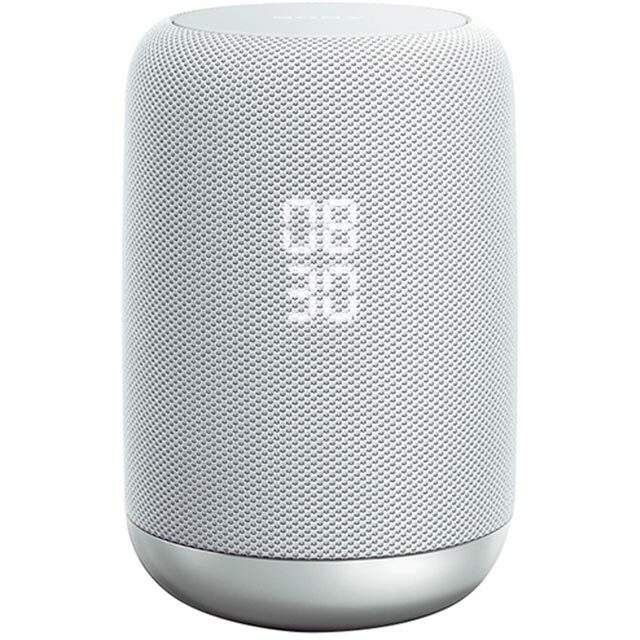 Near Field Communication (NFC) and Bluetooth connectivity let you control your music from your compatible smart device, like your phone or tablet. To pair devices, simply go to the settings in your smartphone or tablet menu and tap the NFC switch to activate. Once the connection has been made, your device will be paired and you’ll be able to adjust volume, skip tracks and more with just a tap of your screen with tap of your screen. An expandable speaker system is perfect for busy house parties or for chilling out in the afternoon. If you have more than one multiroom speaker, simply connect them to your Wi-Fi and unleash your playlist. This means you can enjoy your favourite song being played throughout your entire home, in stunning quality. I bought this for my husband's birthday and he loves it! I wasn't too sure whether the lights would look good or a bit tacky - they look GREAT! Birthday breakfast disco was had by the whole family.